Your air conditioner is crucial to your business, especially during the hot Las Vegas summers. Keep your customers and employees happy by maintaining your air conditioning system, making any repairs necessary, or replacing it completely. In order to keep your system running efficiently, it’s crucial to have it serviced by a licensed and insured professional ProServ Las Vegas provides commercial repair, service, and installation. At ProServ we service everything from standard forced air conditioners to roof top units. Our technicians can quickly diagnose and address your air conditioning repair issues and return your business to comfort in no time. Are your employees overheating? Do the customers appear to be leaving your business because it’s no longer a comfortable place to escape the heat? Don’t miss out on business, call a professional right away for air conditioning repairs. Regularly servicing your air conditioning system keeps it running efficiently, lengthens lifespan, and prevents small problems from becoming business-closing issues. Are you tired of making repairs to your air conditioner and paying a sky-high utility bill? Now is the time to call ProServ Las Vegas for a new air conditioning system. 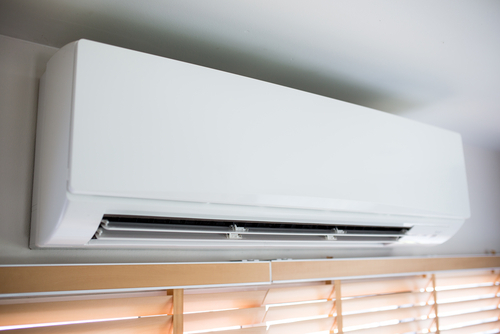 By replacing your old unit you will reap the benefits of lower energy bills, increased comfort, environmentally friendly perks. ProServ Las Vegas has years of experience, local professionals and a fair price. Contact your ProServ professional today at (702) 656-4500 to get your new air conditioning system with upfront pricing and options for financing.